With traditional banks making it harder for people to get approved for loans, many are turning to peer to peer lending. Banks often have hoops for you to jump through, and may perform a hard inquiry on your credit before approving you. And if you want a substantial amount of money for an unsecured loan, you are in trouble. Most banks won’t approve you for unsecured loans that amount to more than $5,000. This environment is exactly why peer to peer lending is taking off. Web sites that facilitate peer to peer lending offer fewer hoops to jump through, and offer you higher loan amounts. Instead of going to the bank for one large loan, peer to peer (P2P) lending sets you up, essentially, with many smaller loans. The peer to peer lending websites, like Lending Club and Prosper, list your loan, and what you plan to use it for (one of the most popular purposes is debt consolidation, but you can get an auto loan or business loan as well). Visitors to the site can choose to lend you money – as little as $25 at a time. All of the money that is lent to you starts to add up. This model works because it allows regular individuals to act as banks, providing loans to others. Additionally, since you are relying on funds from multiple sources, you don’t have just one entity holding the fate of your loan in its hands. It’s the power of numbers working to your advantage. When you apply for a P2P loan, you often have fewer hoops to jump through. It’s harder to get approved for a loan on Prosper than on Lending Club because you are required to have good credit. On Lending Club, though, almost anyone can get approved. Your credit is rated, though, and you pay a higher interest rate if you have lower credit, or if you have high credit utilization. Just applying for the loan, though, won’t result in a hard inquiry, and you will be offered at least three loan options of different amounts and term lengths. For those with decent credit, who are trying to get a small amount of business funding, or who want to consolidate debt, the interest rates offered are often lower than what you would see from a traditional bank. You can borrow up to $25,000 with Prosper, or up to $35,000 with Lending Club. These loans are unsecured, so you don’t have to tie them to your home, or some other asset. Once you select your loan, it is listed on the site. Your peers can then decide if they want to invest in your loan. It’s all or nothing, though. If you don’t reach your target amount, you won’t receive the funds. 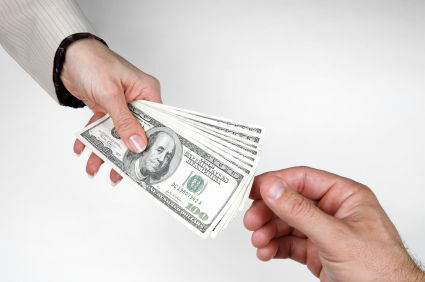 If enough people decide to lend you money, the funds are disbursed to you, and you begin making payments on schedule. Because it’s all handled by the site, you only make one payment; the P2P lending site distributes the proper proportions of your payment to those who have lent you money. For small business owners looking for a little extra help, and for those wishing to consolidate their loans, P2P lending has really made a difference, filling a need that the more traditional banks are not filling (yet).